Puerto Rico is getting a lifeline from Washington D.C.
On Thursday, President Obama signed a bill known as PROMESA (Spanish for "promise") to help Puerto Rico get out of its massive economic crisis. The island has run up nearly $70 billion of debt (about $20,000 per resident). At the same time, the island's population has shrunk dramatically. Puerto Ricans are moving to Florida, Texas and elsewhere in the mainland U.S. for better paying jobs. "There is still much work to be done. With legislation in place, Puerto Rico will now have time to work out an orderly financial path forward after July 1," Obama's Treasury Secretary Jack Lew said Wednesday night after the Senate approved PROMESA. 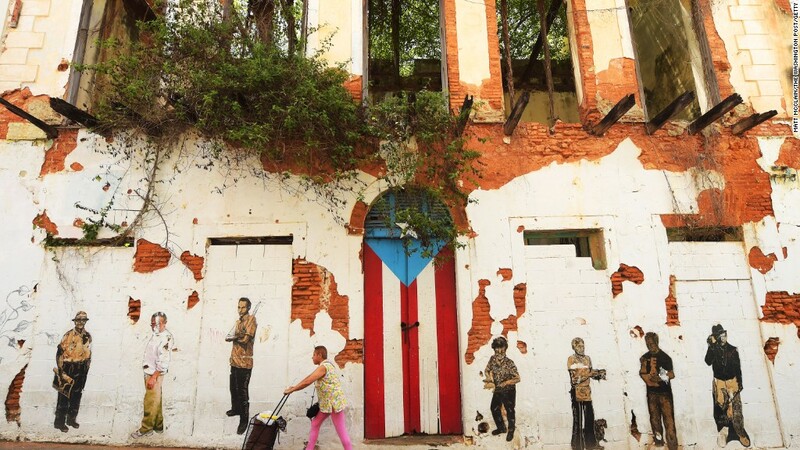 Related: Puerto Rico's crisis: How did it get so bad? Puerto Rico is widely expected to miss most, if not all, of the $2 billion bond payment it owes creditors by July 1. The island says it doesn't have enough money to pay. PROMESA won't provide any funding to pay the debt, but it does prevent bondholders from suing the island for a few months. It also installs a fiscal Oversight Board to come up with a plan to finally solve the crisis. That plan may ultimately include giving creditors a "haircut" where they receive less money back or get delayed payments. "We are in favor of PROMESA," says Jorge Irizarry. He's the head of Bonistas del Patio, a group representing the more than 60,000 Puerto Ricans who own some of the bonds that are in trouble. "We need economic growth. That's the only thing that will get Puerto Rico back on its feet." Puerto Rico has already defaulted three times, but the July 1 payment is different. If Puerto Rico misses this one, it will be the first time since 1933 that a state or territory (Puerto Rico is a territory under U.S. law) fails to pay its general obligation bonds on time, says Cate Long, an expert on government bonds and head of the Puerto Rico Clearinghouse, a research firm. General obligation bonds are the creme de la creme of the bond world. Payment is generally guaranteed. "In the Puerto Rican constitution it requires the general obligation bond payment to be made before any other expenditure of the government," says Long. Puerto Rico's economy has been contracting for almost a decade. People are literally fleeing the island in search of jobs in the mainland U.S. The island has lost about 10% of its population in the past decade. Taxes have gone up. Services have gone down. Home prices are plummeting, and a doctor a day is leaving the island. PROMESA also creates a commission to study how to jumpstart the economy again and what else Congress can do to help. Democratic presidential candidate Hillary Clinton endorsed the plan. Republican Donald Trump said he would not support a "bailout" for the island, although Republicans in Congress, including House Speaker Paul Ryan, point out that this is not a bailout since no federal taxpayers dollars are used to pay the island's debt.